How can I disable voicemail notifications? But I cannot swipe away this notification. It is a constant and persistent notification. I am rooted on a stock Nexus 5. I would have just used Google Voice as my voice mail box but apparently T-Mobile prepaid lines cannot have call forwarding so I can not use that option. You can install and configure T-Mobile's own Visual Voicemail app. You will get notified about your voicemails through it instead of the system's Phone/Dialer app, with the ability to dismiss that notification. As a bonus, you can also listen to and delete your voicemails without having to dial in and waste prepaid minutes. Be aware that this app needs to be able to send and receive one SMS message in order to enable its functionality. If you are using Voice+ feature of CyanogenMod custom ROM, you will need to temporarily disable it. The only thing that worked for me is to stop the Phone Application. It restarts itself again, so you don't have to worry for missing calls or anything. Settings -> Apps -> ALL -> Phone. I am in the same boat as you. 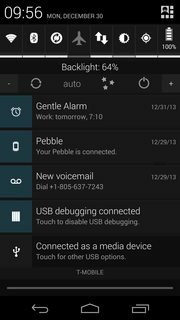 Since I found no way to actually disable voicemail notifications on my Nexus 5, I instead configured the longest possible voicemail greeting the T-Mobile system would allow, which consists of complete silence for 3 minutes. I have not gotten a single voicemail notification since. I think aside from calling your carrier, there are only so many [few] things you can do. I've been reading, and it seems like you can change your Voicemail number in settings so call forwarding would be an option. From the video: force stopping the Phone application will clear all notifications from the Phone application, including the voicemail notification. I had a similar issue, but it was with visual voicemail notifications. Since then, I don't see notifications for visual voicemail. I fixed this problem by simply removing my sim card and putting it back in. Evidently dis- and re-connecting to the cell carrier was enough to do it. I'm running Android 5.1 on a Moto E2. Not the answer you're looking for? 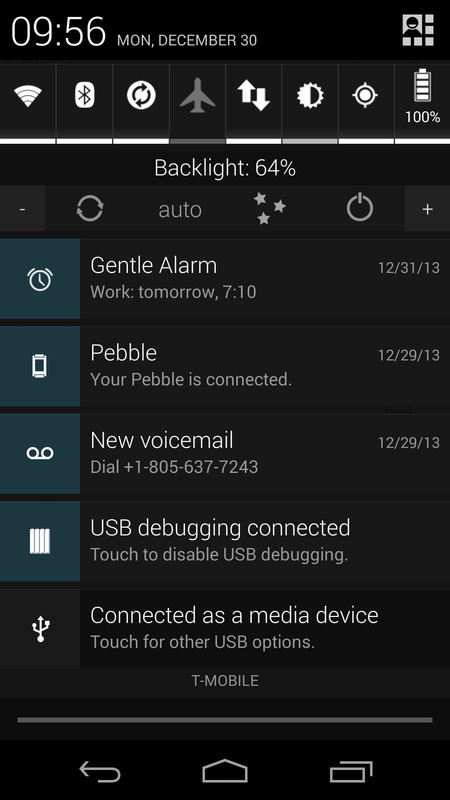 Browse other questions tagged nexus-5 voicemail t-mobile notifications or ask your own question. how to remove sticky (permanent) notifications from notification bar? Block A Number From Leaving Voicemail? How can I remove/hide the Skype Status notification?